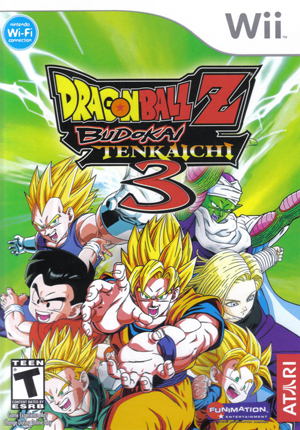 Dragon Ball Z: Budokai Tenkaichi 3, like its predecessor, despite being released under the Dragon Ball Z label, Budokai Tenkaichi 3 essentially touches upon all series installments of the Dragon Ball franchise, featuring numerous characters and stages set in Dragon Ball, Dragon Ball Z, Dragon Ball GT and numerous film adaptations of Z. The game also features one of Akira Toriyama's original characters only related to Dragon Ball through crossovers, Dr. Slump's Arale Norimaki. Dragon Ball Z: Budokai Tenkaichi 3 is capable of using both GameCube controllers and Wii Remotes. If a physical controller is set to emulate both a GameCube Controller and a Wii Remote concurrently, it will operate both devices at the same time. To fix, migrate controls to use separate physical controllers. The graph below charts the compatibility with Dragon Ball Z: Budokai Tenkaichi 3 since Dolphin's 2.0 release, listing revisions only where a compatibility change occurred. This page was last edited on 3 March 2018, at 07:39.